A shell and tube heat exchanger is the most common type of heat exchanger in all Industries. Mostly used in higher-pressure and Higher Temperature applications. These types of Heat exchangers are having two divisions one is shell and other is Tubes. Here One fluid runs through the tubes, and another fluid flows over the tubes (through the shell) to transfer heat between the two fluids. For this purpose seamless/ERW or Rolled pipes are used for shell. And Seamless tubes are used for Tubes. 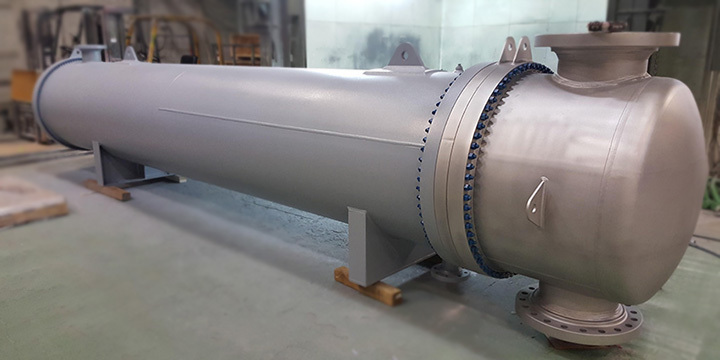 Our Shell and Tube Heat Exchangers Design Process Contains Two Parts - Thermal and Mechanical Design.